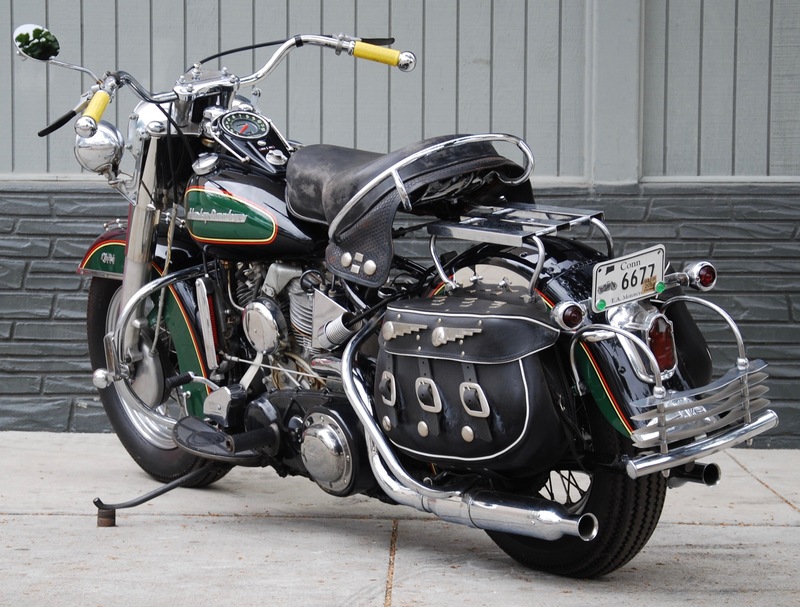 Harley-Davidson was in a celebratory mood in 1954. 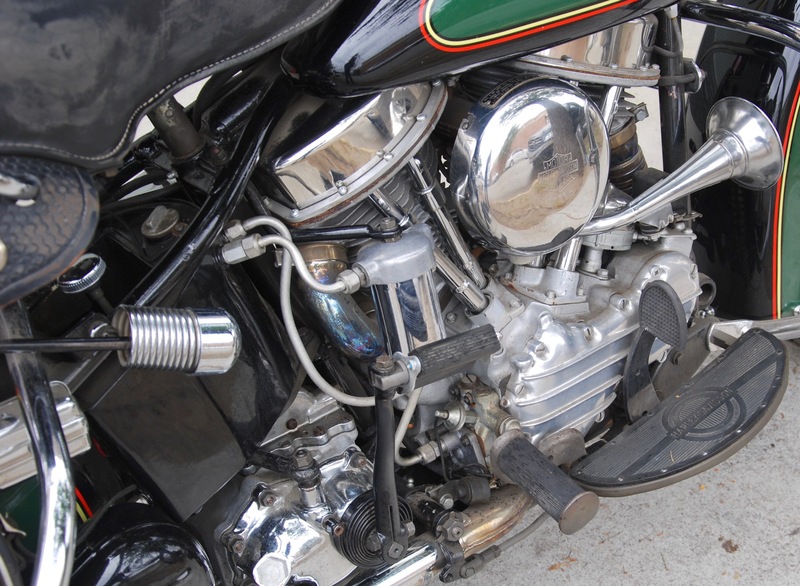 After all, the Motor Company had been in business for a half century, beginning from the dawn of the motorcycle industry. 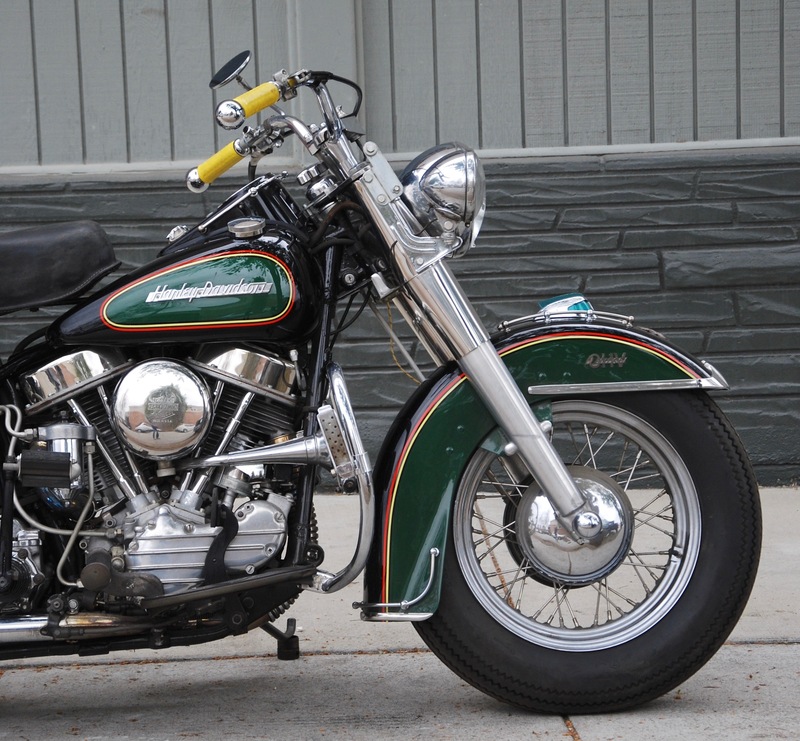 Their current Big Twin offering at the time was a machine first offered in 1948, the Panhead. 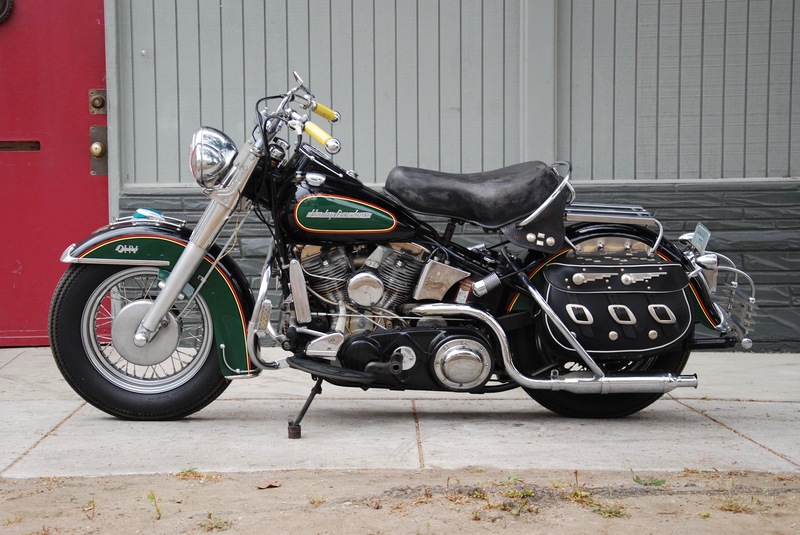 The Panheads differed from the earlier Knuckleheads primarily by their distinctive valve covers which contained hydraulic valve lifters, catapulting Harley-Davidson more into the modern age of motorcycling, though on their terms as no one else was producing a large displacement. 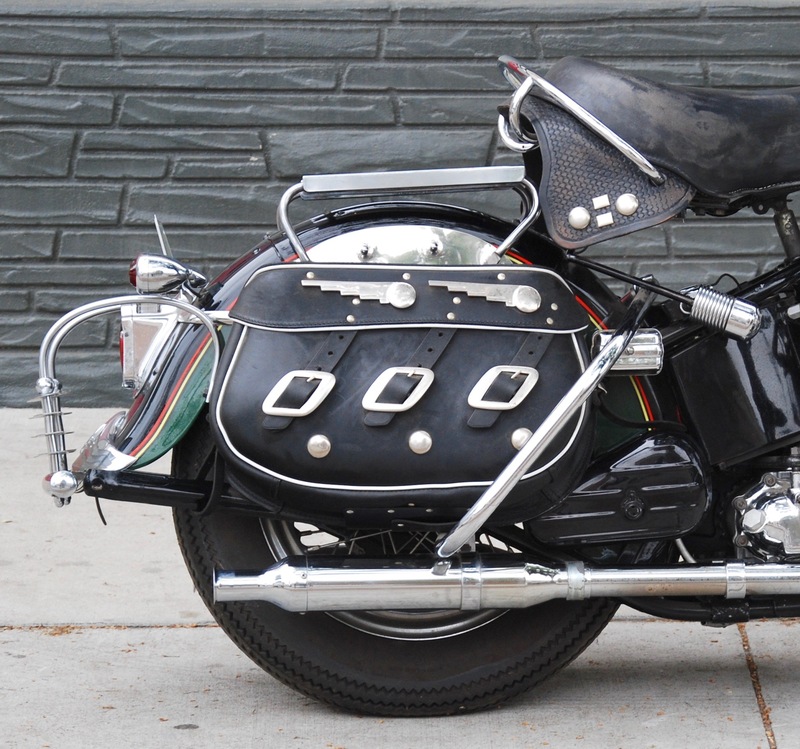 heavy weight touring motorcycle. 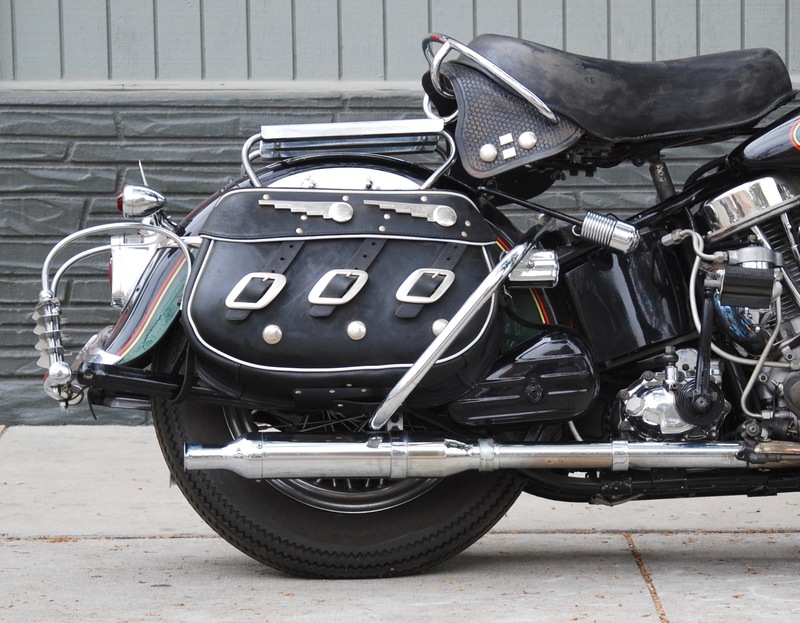 Motorcycles of that period were evolving quickly. 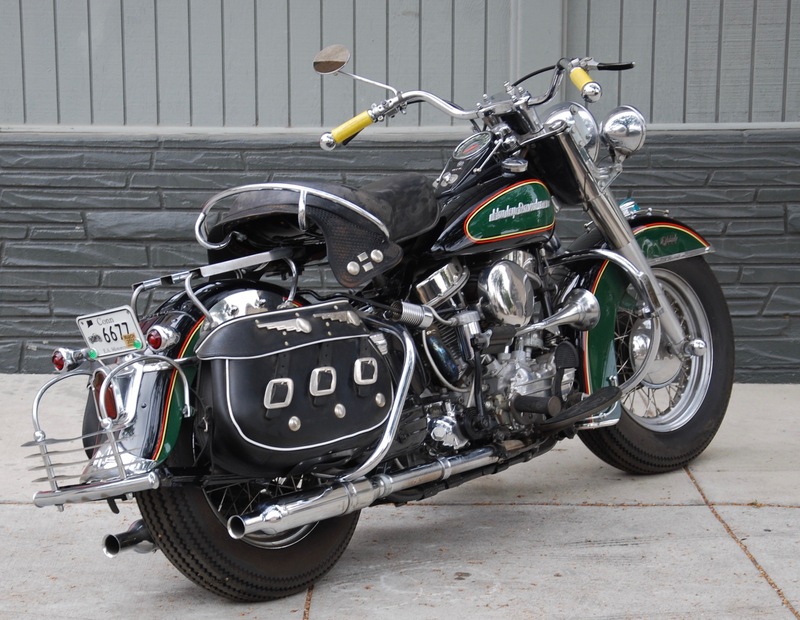 The British bikes vibrated, the few new Japanese motorcycles buzzed while the Harleys still shook. 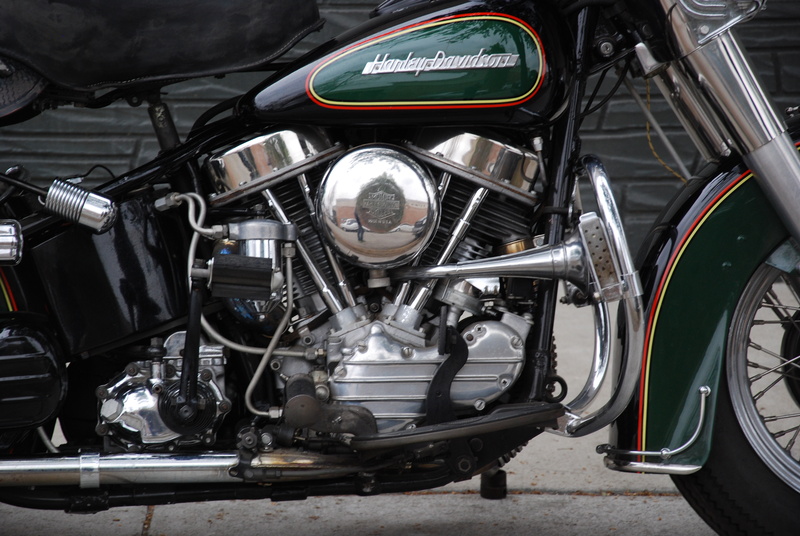 The ever-conservative Harley-Davidson company continued to improve their offerings through 1954, producing three different frames in that single year. 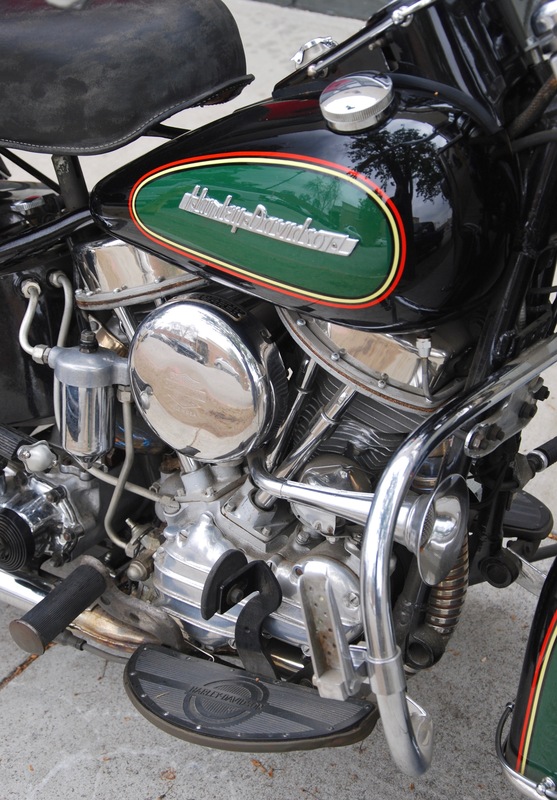 The new Jubiliee trumpet horn was mounted between the cylinders, one of the reasons for multiple frame offerings. 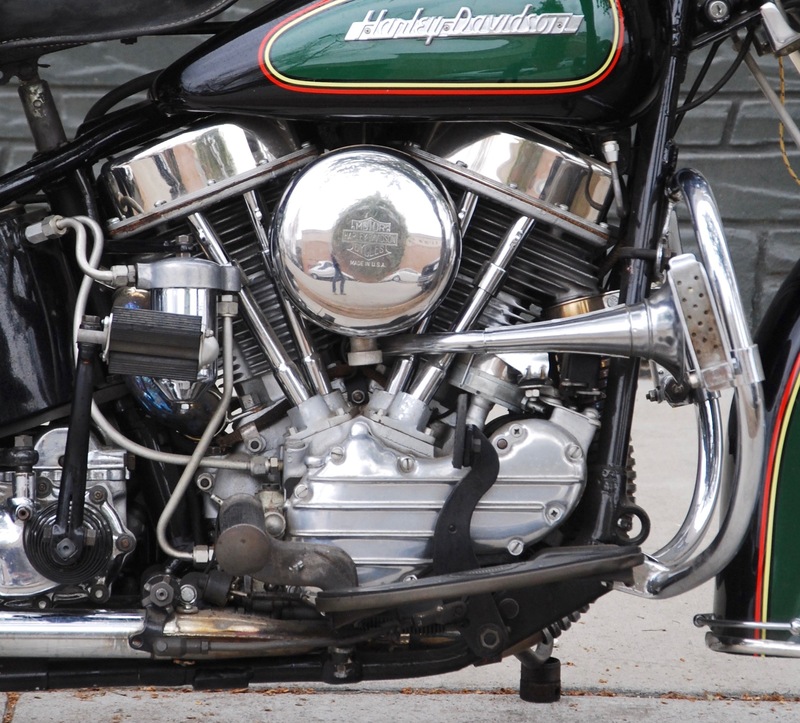 The Panhead featured aluminum cylinder heads and now the oil passages were drilled, eliminating external oil lines. 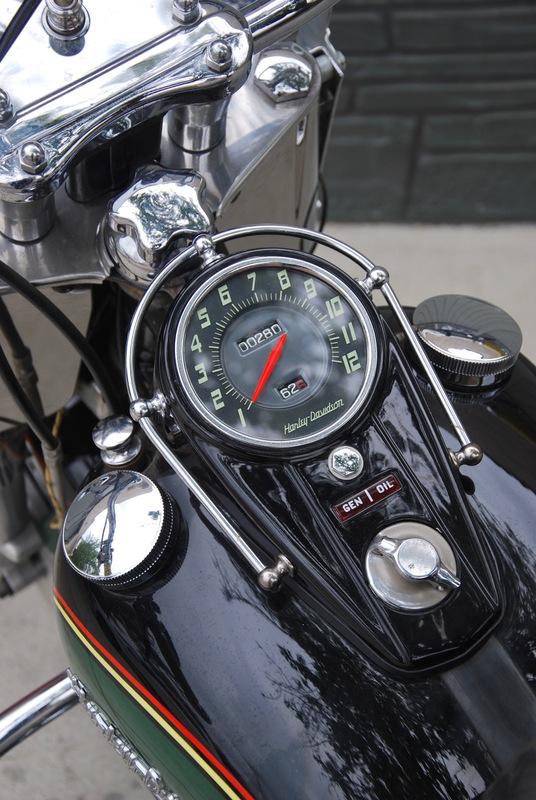 Faster action throttle and spark controls were brought over from the Model K Harleys. 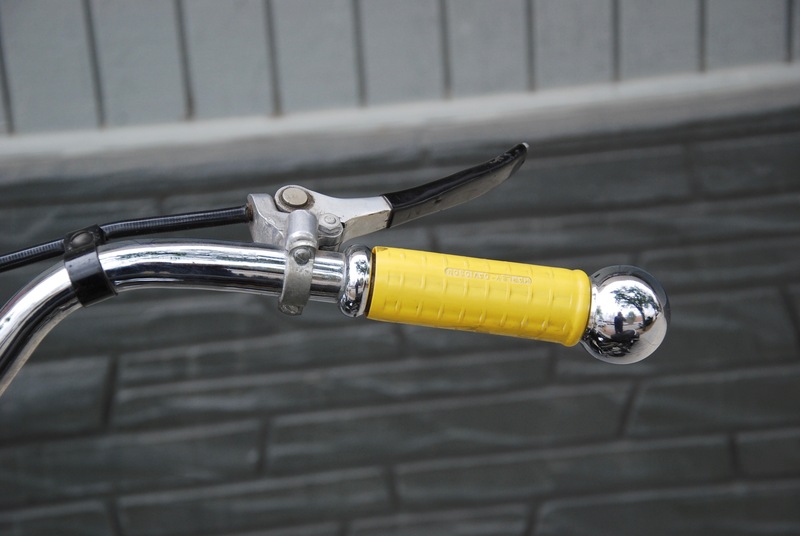 Motorcycles were available with either the old hand shift, favored by the police departments or a new foot shift transmission presenting new foot and heel levers that appealed to the average street rider. 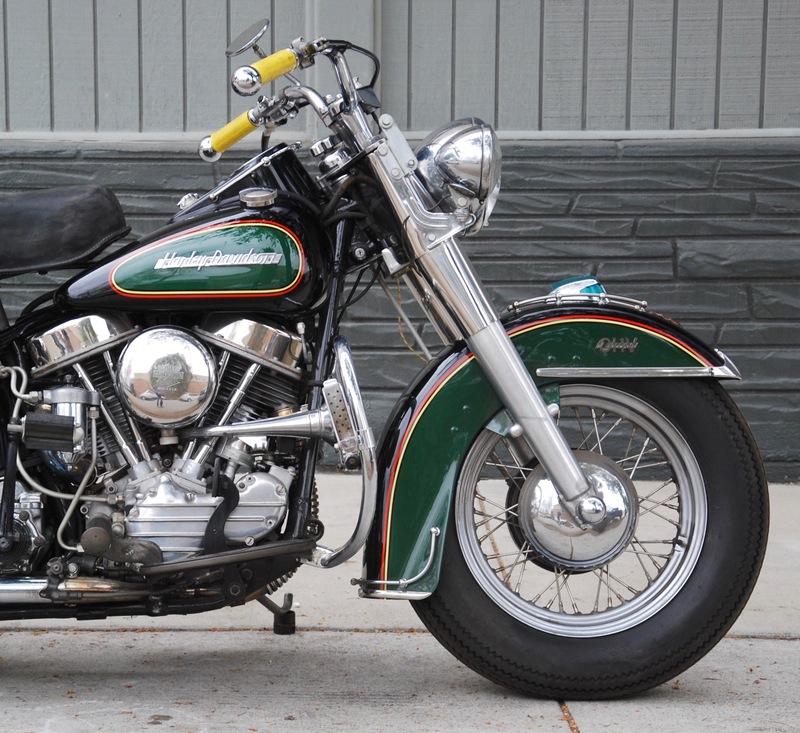 The 1954 Harley-Davidson was named the “Hydra-Glide” in reference to its telescopic front forks. 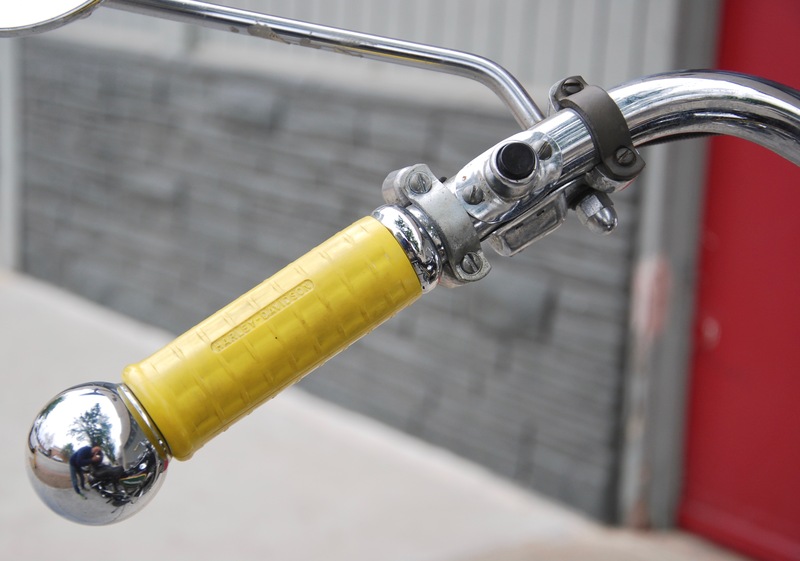 Rear suspension was still years away. 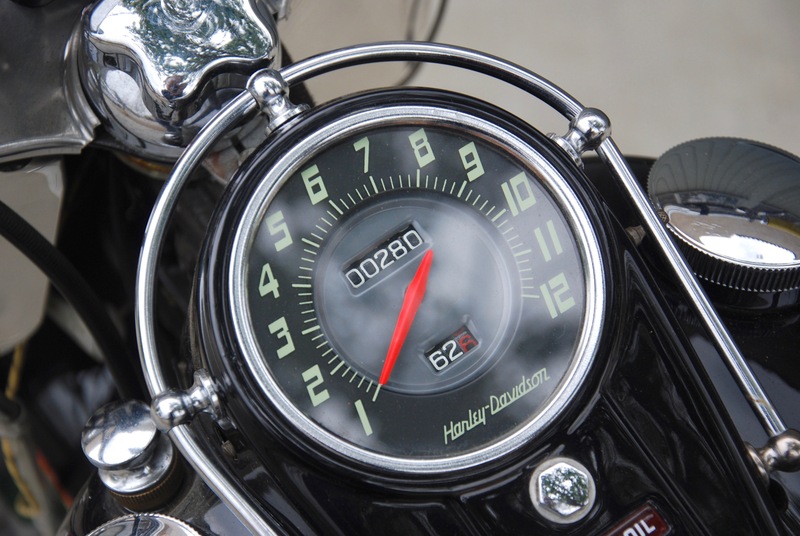 The Panhead was designed to put on miles comfortably. 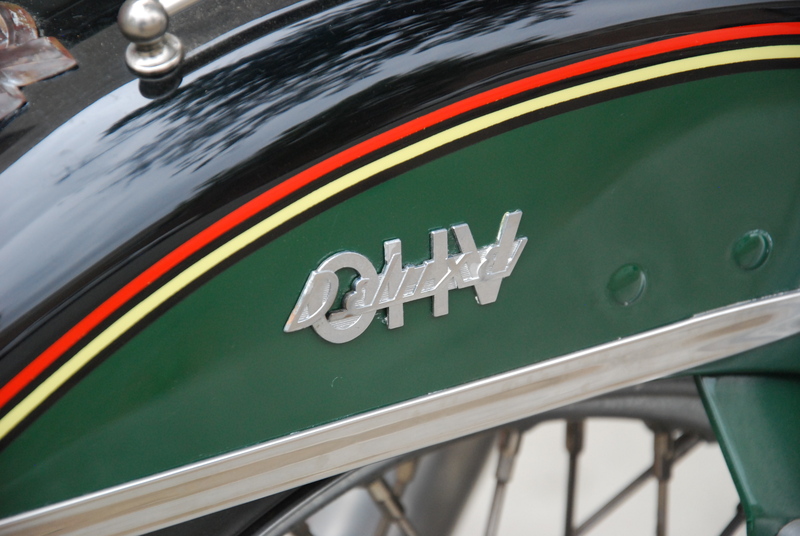 It their time, they were the pre-eminent touring bike on the roads of America. 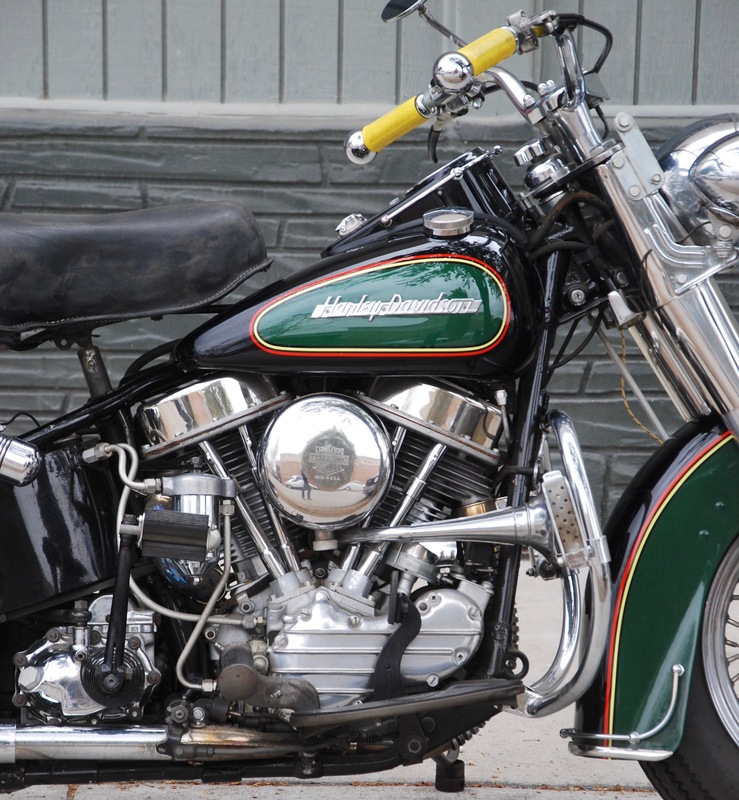 With Indian now gone, it left only Harley-Davidson to carry the flag of American heavy weight motorcycles. 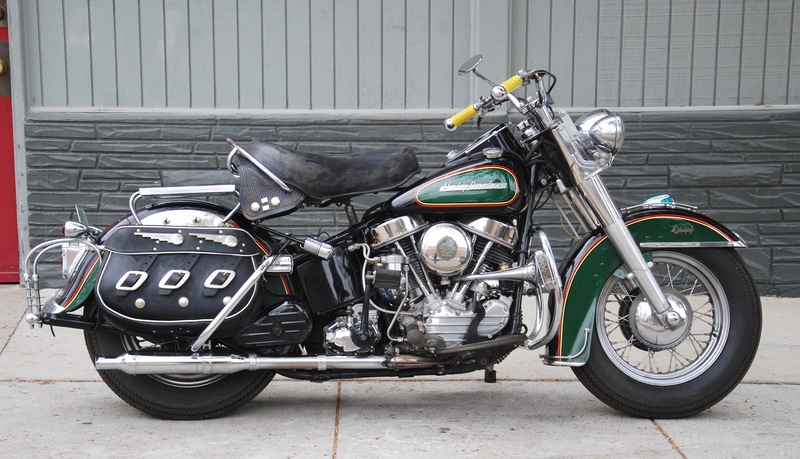 This 1954 Harley-Davidson Panhead, a 74ci OHV Sport Solo high compression engine, being offered for sale is nicely restored, in a custom paint of dark green on black, highlighted with red and cream pin striping. 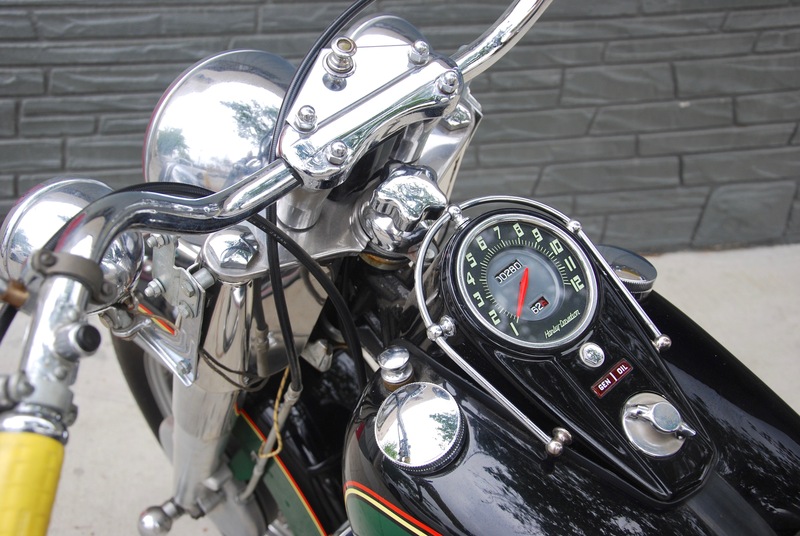 Used very sparingly, the bike shows only 280 miles since restoration. 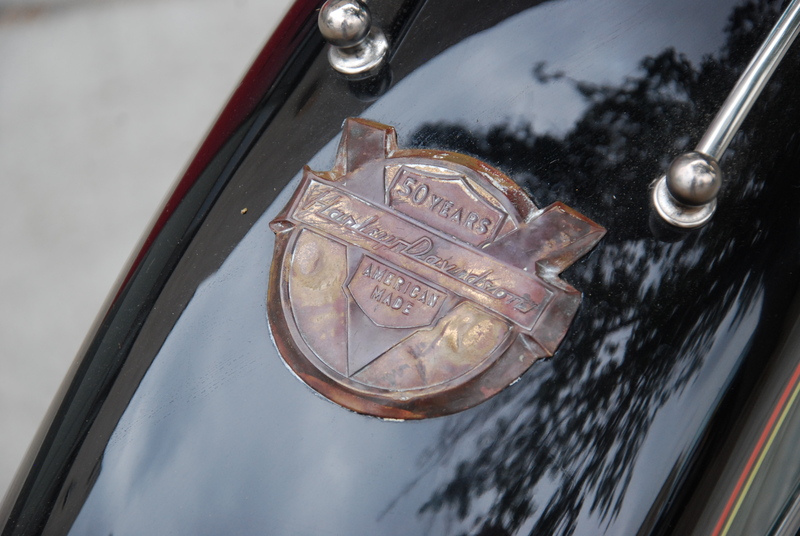 On the traditional Harley fenders, an Anniversary badge is proudly displayed on the front fender tip. 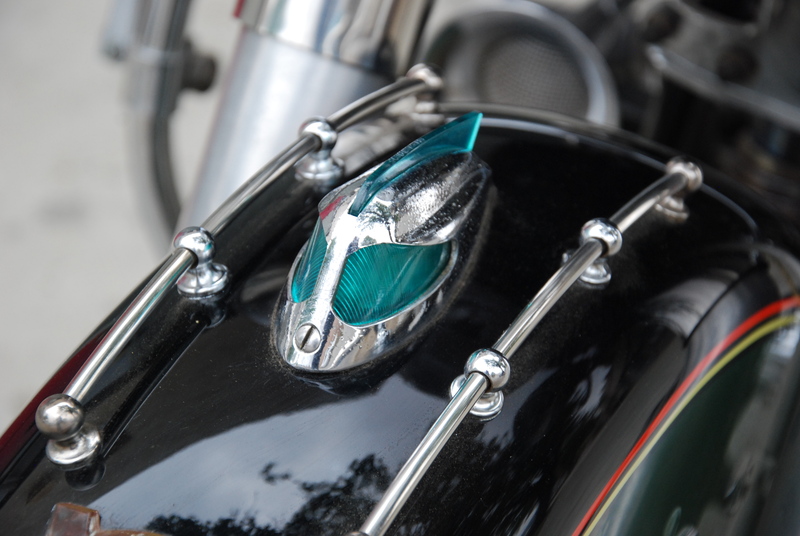 Also atop the front fender is period accessory of a “Cometeer’s helmet with blue translucent lens and helmet fin. 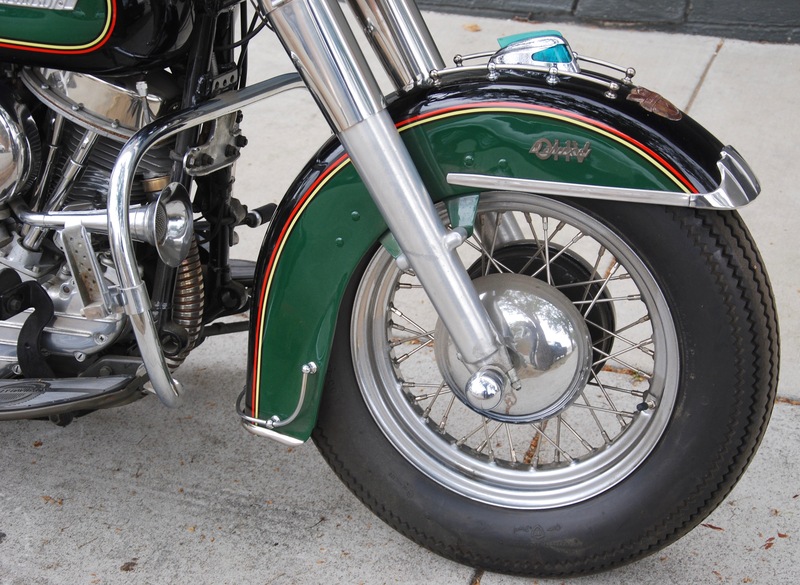 On the rear fender there is a chrome factory carrier with black leather saddlebags. 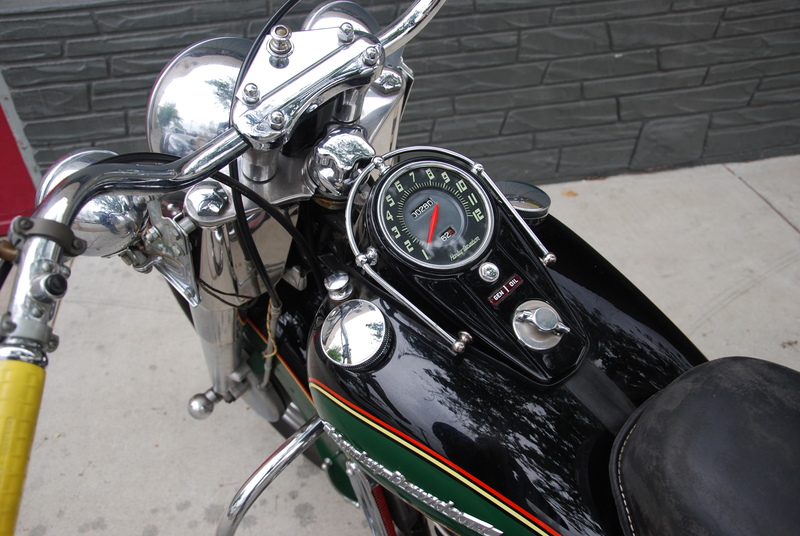 This motorcycle features a foot shift transmission. 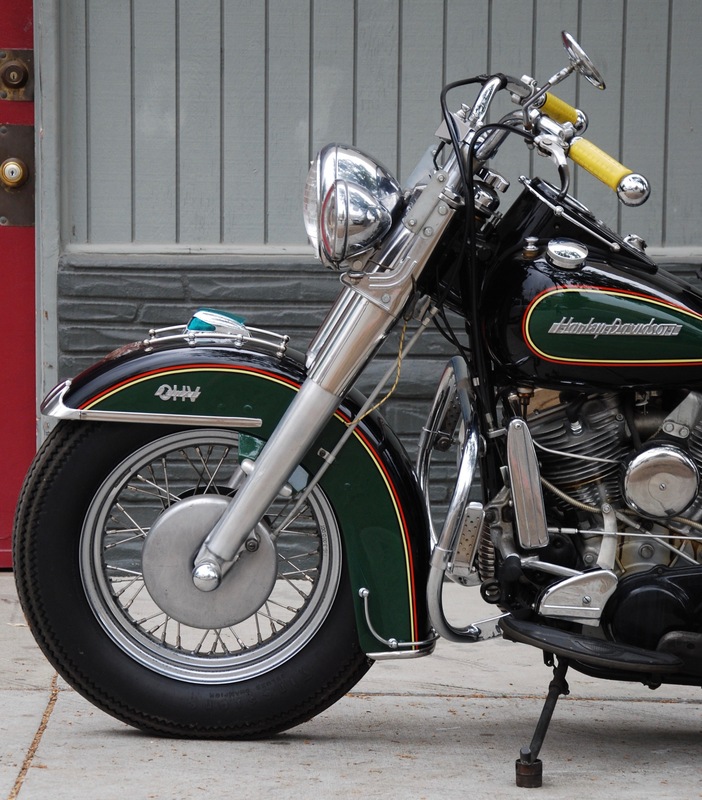 There’s plenty of bling on this motorcycle to keep any accessory addict happy, including a cookie cutter bumper and fender rails front and back. 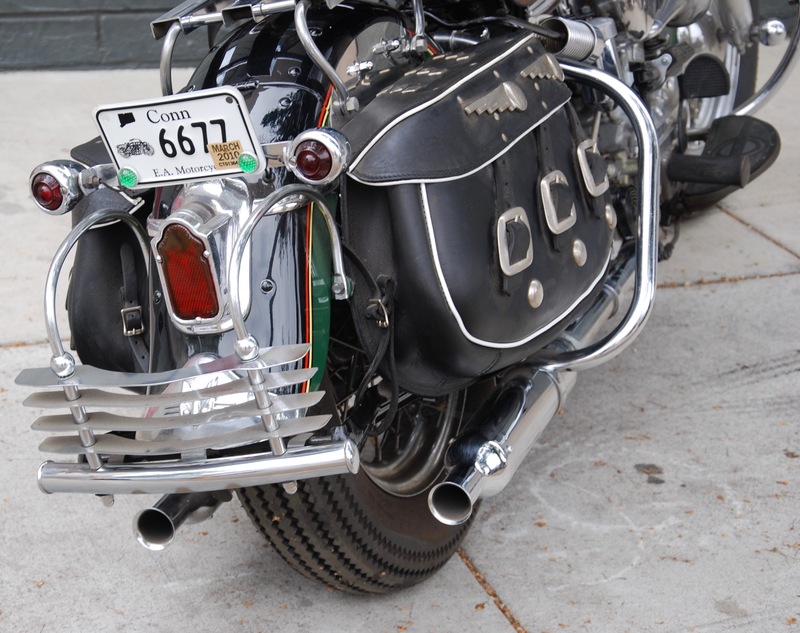 The bike also has the first-year optional dual exhausts. 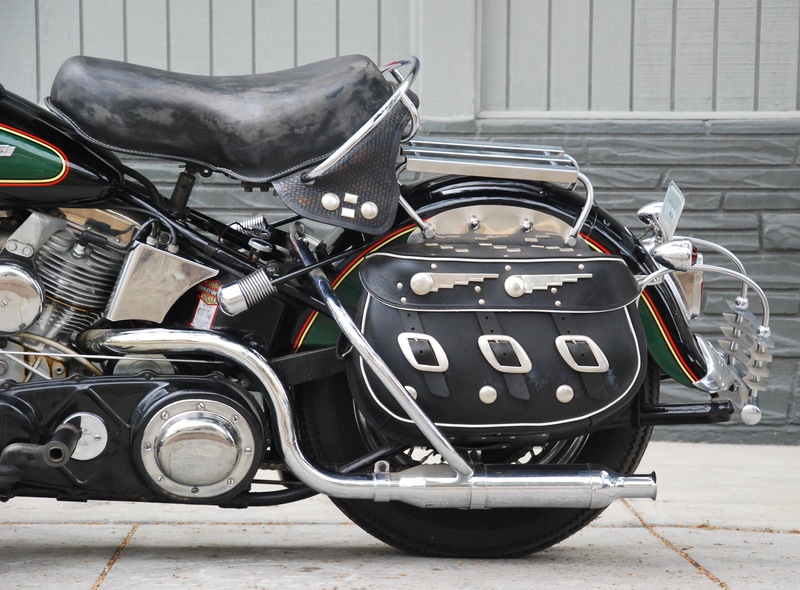 Sales of the Big Twins had been in decline since their introductory year in 1948 with the production of 1954 FL’s at about 60% of that leading year, making this motorcycle highly collectible. 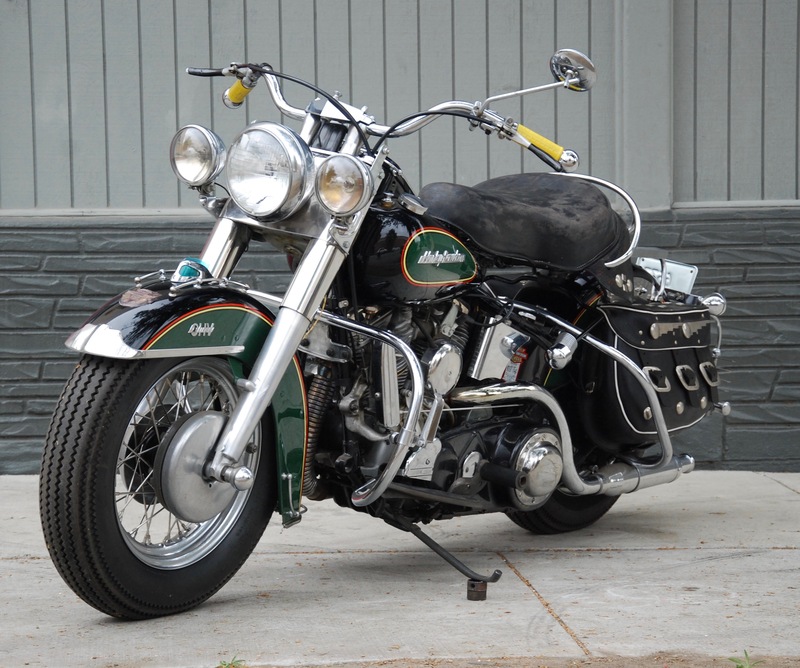 This ’54 Harley Panhead is set up to enjoy on highways and country backroads alike.